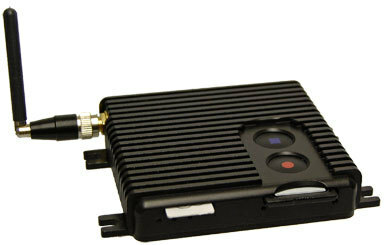 Miniature H.264 card digital video recorder and streamer with internal 3G modem. 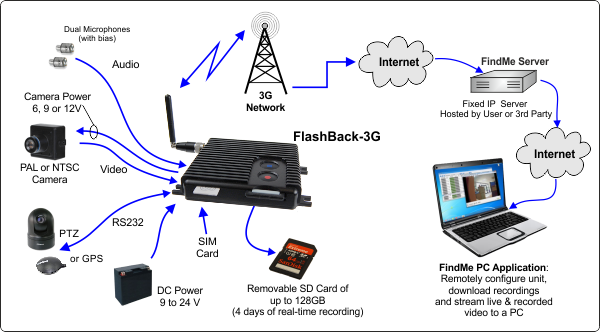 FlashBack-3G was developed following the highly successful FlashBack-3 range of covert SD card digital video recorders. It retains all the key features of FlashBack-3, such as full resolution H.264 video compression, internal timers, audio level and video motion detection but with the addition of an integrated 3G modem. Furthermore, the maximum SD card capacity has been increased from 32 to 128 GB providing over 4 days of high quality real-time video recording. The internal 3G modem provides remote access to the DVR / streamer via a cellular network provider. An intermediary server architecture is employed so connection can be made with any SIM without the need for fixed IPs etc. In conjunction with FindMe, Ovation’s remote device manager PC application, it is possible to record locally while simultaneously streaming live video to a remote surveillance point. FindMe shows a time-line of the remote recordings with a graph of motion activity and it is easy to select and download clips of interest for review. FlashBack-3G includes an RS232 port, which can be used to control a pan-tilt-zoom (PTZ) camera mount or connected to a GPS receiver where FindMe can show the current GPS position with historical track. FlashBack-3G is fitted with Ovation's i-Conex minature interconnection system for ease of wiring and installation. FlashBack-3G is fitted with Ovation’s new i-Conex interconnection system, greatly simplifying installation via a range of interface cables to commonly used power, video and audio connectors. Despite all its functionality, FlashBack-3G is incredibly small, measuring just 78 x 78 x 18 mm (3.1 x 3.1 x 0.7 inches), making it ideal for covert surveillance deployments. FindMe is a PC application that locates and lists all the FlashBack devices connected to your LAN or the Internet. Connection is made via a fixed IP server which removes the need for configuring router firewall's and allows multiple-users to view the streamed video. This server can be hosted by a third party ISP or on a PC within the client’s own network. Once contact has been established in FindMe, each device has a ViewMe page which displays the live stream or plays recorded video that has been downloaded from the remote device. To aid the selection of clips of interest before download, ViewMe has a timeline of available recordings, overlaid with video and audio activity graphs. A simple right-click on the time-line is all that’s required to download a file or clip for review. If a GPS receiver is connected to the target FlashBack-3G, ViewMe shows a Google Map of the current position with a historical track of previous positions synchronised with the video playback. 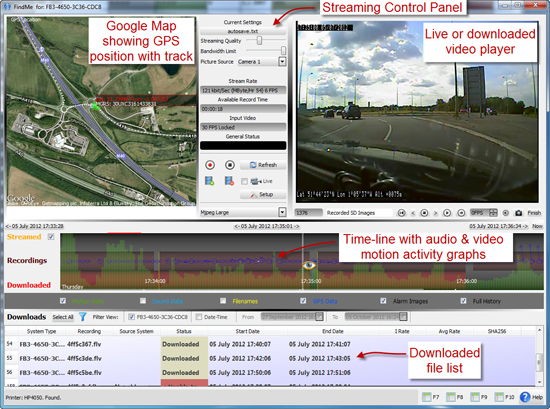 It is also possible to view recordings from an SD card removed from a FlashBack-3/3G with full GPS tracking. 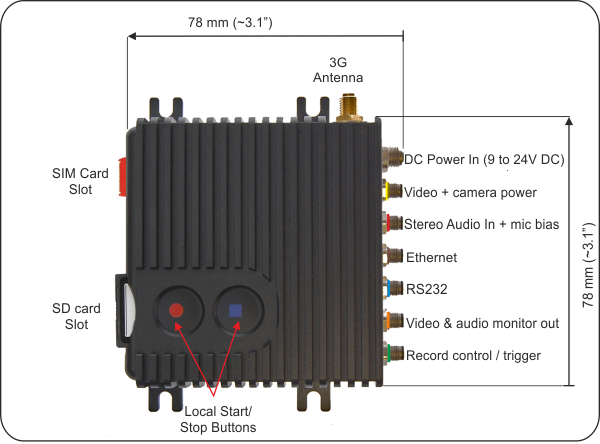 Highly compact and rugged SD card digital video recorder (DVR) with internal 3G modem. Industry standard H.264 compression for ease of streaming and playback. Local recording to removable SD card of up to 128 GB, providing up to 4.5 days of real-time recording, even longer with time-lapse recording. Simultaneously record and live video stream. Advanced triggers: two external inputs along with internal timers, audio level trigger and zoned video motion detection. RS232 interface for connection to external GPS receivers or PTZ camera mount. - List of remote units connected to LAN or the internet. - Live video and audio streaming. - Time-line of recordings with audio and motion activity. - Download and playback of recorded files and clips. - Live GPS position on Google maps with track (when GPS receiver connected).